Enjoy hot toast for the entire family with the white Eco 4 slice toaster. The Eco 4 slice toaster has a cool-touch housing. Adjust the level of browning required with your Eco 4 slice toaster with a cancel and stop option available. 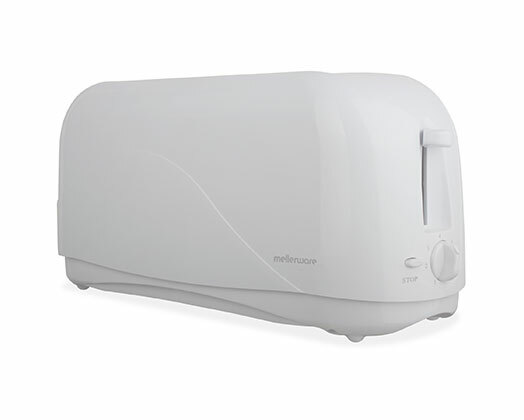 The Eco 4 slice toaster also has a defrost function and removable crumb tray to keep your kitchen clean.